Australians gamble more than any other country on the planet, with thriving casino, lottery, horse racing, sports betting, keno and slot machine industries that brings in millions of dollars of revenue each year. But when it comes to the Internet, the climate is quite different, with laws entirely preventing Aussies from gambling at online casinos. We explain more about Australia’s online gambling laws and whether it is possible for Aussies to gamble safely for real money on the Web. Long answer: In 2001, the original Interactive Gaming Act (IGA) was first introduced in Australia by the then Howard government to regulate what had the potential to be a booming online casino industry. The Act aimed to keep online gambling out of the homes of Australian families as Internet penetration rates grew rapidly throughout the country. 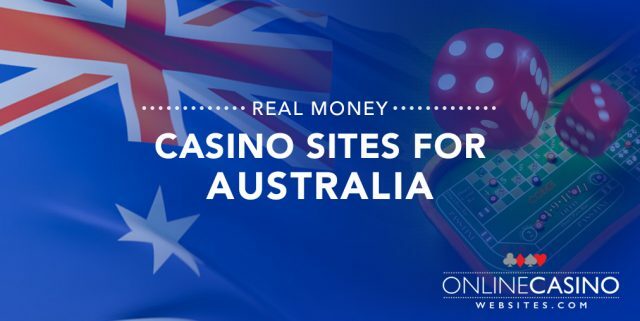 Under the initial gambling laws of the IGA, all Australian online casino vendors were banned from advertising their services to Aussie players and from operating within Australian borders. However, the IGA was full of loopholes that meant Aussies could legally gamble online, provided the casino was licensed and located in an offshore gambling jurisdiction. Foreign operators took advantage of these legal grey areas and continued to service the Australian market, accepting deposits in AUD and tailoring bonus offers to suit an Australian audience – like G’day Casino’s famous welcome bonus that gave Aussies a free carton of beer upon sign-up. In 2017, those legal grey areas became black and white when the Interactive Gambling Amendment Bill was passed in Australian parliament. The amendments to the IGA made it clear playing online casino games would no longer be tolerated, with new wording stipulating “the legislative amendments will prohibit a person providing regulated interactive gambling services to Australians unless the person holds a licence under the law of an Australian state or territory.” As no state or territory in Australia is authorised to issue online casino licenses, this clarification essentially makes it illegal for offshore casinos to service the Australian market, which is perplexing. Online gambling has become so popular with Aussie punters that the new laws will do little to deter dedicated players. There is nothing in the IGA that punishes Australian players for gambling online, with the laws geared towards the casino operators instead. With no threat of penalties, Aussies can continue to play online at any offshore casino accepting them, but they must do so at their own risk and understand it is illegal to do so. The World Count of Gaming Machines 2013 reports Australia has over 198,150 electronic gaming machines (EGMs), locally called poker machines or pokies (functioning exactly the same as the slots). It is the sixth highest number of slot machines in the whole world and over 600,000 Australian citizens play the pokies weekly. 3-reel, 5-reel, progressive jackpot pokies and more types are widely available to play, from some of the biggest slot machine manufacturers such as Aristocrat and Konami. You can find a pokies machine at nearly all major clubs, pubs, RSLs and land-based casino venues such as Crown Casino and The Star. With such an abundant amount of gaming machines available to the Australian public, you would assume online slots would not have taken off – you would be dead wrong. Many of the world’s best online casinos cater to as large amount of Australian punters, who also want to enjoy their favourite pastime on their computer or mobile devices over the World Wide Web – of which you can find in the casino table list at the top of this page. At the time of writing, many of the world’s best online casinos continue to accept Aussie players despite the new IGA amendments come into place, but many more of the world’s leading casino operators have entirely dropped out of the Australian market due to compliance with the new amendments. 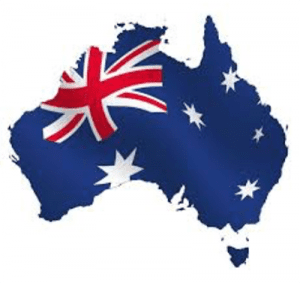 While we can expect to see more online casino operators bailing on Australia to avoid any legal troubles, many vendors have made it clear they will not pull out of the Australian market. It is important to understand that the risk lies fully with the casino vendor, and there are no penalties for Aussie individuals who continue to play online. We do not condone the online option, but we want to make our readers fully aware of the current legal climate. Given the new laws, it is more important than ever that online casinos are legally licensed by reputable offshore gambling jurisdictions like the United Kingdom Gambling Commission or Malta Gaming Authority. Dodgy casino operators may see the amendments as prime time to swoop in and gain some of the customers left on the lurch after big names cease offering services Down Under, so do not be tempted or fall for these tricks. Only reputable casino sites that are certified by third-party authorities like eCOGRA, protected by a minimum of 128-Bit SSL (Secure Socket Layer)digital encryption security are safe, the same ones which offer games from leading gaming software developers like NetEnt, Microgaming, BetSoft, Evolution Gaming, Playtech, Quickspin, Play’n Go and Ezugi. For a full list of the top-rated online casinos that still accept Australian players, refer to the casino table above. This table has been geo-targeted to recognise your location and only recommend safe casinos that cater to the Australian market. This table will be updated regularly to reflect any upcoming changes as the IGA amendments settle in. We’ve also provided a brief overview of each offshore casino site below. Mucho Vegas – A bright and cheerful Mexican-themed casino site offering 800+ online casino games from leading software providers such as BetSoft, Pragmatic Play, iSoftBet, 1X2 Gaming and Evolution Gaming. House of Jack – An entertaining multi-provider casino site with a suave crocodile as the mascot, offering a large selection of casino game variants available for instant-play. Emu Casino – An Aussie-themed casino site housing hundreds of download-free online casino games from multiple software developers like BetSoft, 1X2 Gaming, GameArt, Pragmatic Play and more. Raging Bull – Powered exclusively by RealTime Gaming casino software, the game selection at Raging Bull isn’t as comprehensive as other multi-provider sites, but still offers 100+ slot games and a good selection of the most popular table game and video poker variants. Mongoose Casino – Using a mongoose as its good luck charm, Mongoose Casino hosts games from a collection of top-rated game studios, with players able to earn loyalty points which can later be redeemed for cash and prizes in the Mongoose Store. Joe Fortune – Offering games from Novomatic, Rival, Realtime Gaming and Spinomenal, Joe Fortune also offers some of the biggest welcome bonuses available, with exclusive bonus offers catering especially to Bitcoin users. Casino-Mate – Casino-Mate recently changed operators, moving away from the old Microgaming platform to provide games from a selection of leading casino software providers, all which are available download-free directly over your Web browser. Boombet Casino – An online casino with a twist, powered by software like BetSoft, Rival, PariPlay, Spinomenal and more, offering a unique Bonus Store where you can buy spins on the pokies at discounted prices. Ignition Casino – Originally catering to USA players, Ignition Casino has opened its doors to Australians, offering slots, video poker and table games from Bodog, Rival and RealTime Gaming. Each of these casino sites offers a welcome bonus for new players, so you can get more bang for your buck from the get-go. Read our reviews to find out more. Deposits and withdrawals in Australian dollars (AUD) are widely accepted by leading online casinos, but this may be set to change as the new 2017 law amendments settle in. Australia-only payment provider POLi stopped servicing the online gambling industry ahead of the IGA changes and only time will tell if larger financial institutions follow suit. For now, Aussies have plenty of choice when it comes to depositing real money to play pokies with at an online casino, with popular deposit options including Visa, MasterCard, Neteller, Skrill, Paysafecard, Flexepin, ecoPayz, Entropay and direct bank transfers. To play for real money, sign up for an account with a reputable, licensed online casino and head to the banking/cashier/deposit section. Here you will see a full list of the payment options accepted by your chosen casino (each casino site is different). Click to select your payment method, enter the amount of funds you wish to transfer, then follow the prompts to complete your transaction. Most deposits are processed on the spot, so you can start playing online casino games like blackjack, roulette, poker, scratchies, live dealer titles and slot games straight away. For an extra layer of privacy and security, Australians should consider using a trusted VPN service. Visit our new player’s guide to online casinos for more information on how to get started.